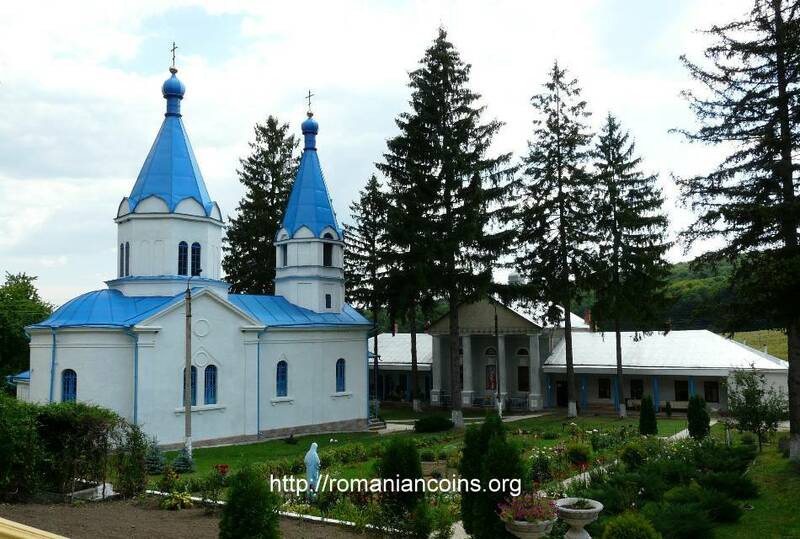 The monastery is dedicated to the Dormition of Virgin Mary, being located near Ţigăneşti, a village in the raion of Străşeni, on the edge of a forest, deep in a remote and hardly accessible place. 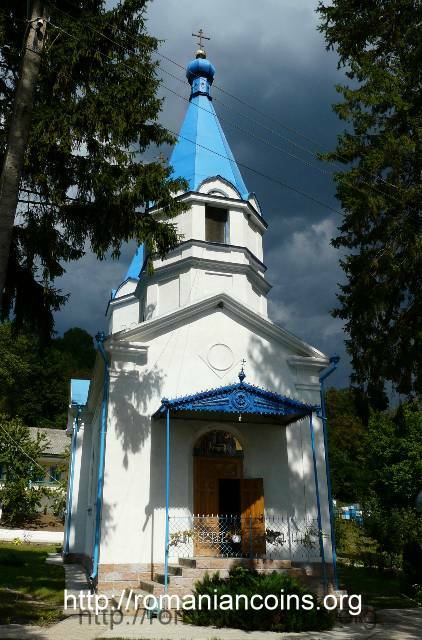 A hermitage existed there in 1725, founded by boyar Lupu Dencu and some yeomen from the Cobîlca (nowadays Codreanca -, village placed also in proximity, but farther than Ţigăneşti) and Ţigăneşti villages. Closed in 1960, the monastery was turned into a hospital for the handicapped. The books and icons were taken, under the pretext that they will be transported to the Hîrbovăţ Monastery. The promise was only formal, as the items taken were burned somewhere at the edge of the forest. In 1961 the monastery cemetery was also destroyed. 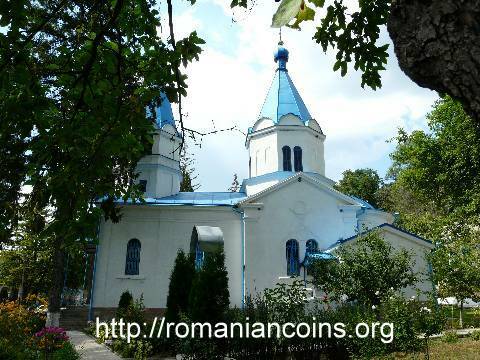 The monastery was reopened on the 8th of September 1992. 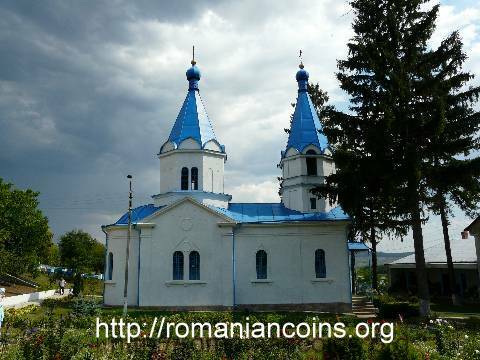 Currently Ţigăneşti is a monastery for monks. 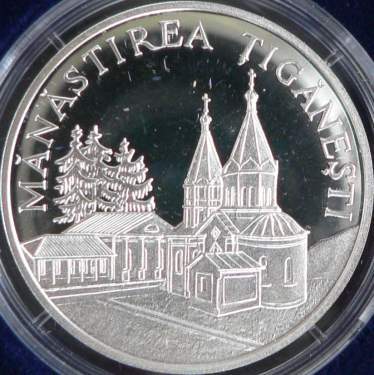 The larger church, established in 1846, is the one represented on foreground of the coin. It was restored in 1998. In the background are represented the winter church (1840) and, most probably, some of the monastery cells. A third church was erected in 2009, and is placed above the spring, near the pond. 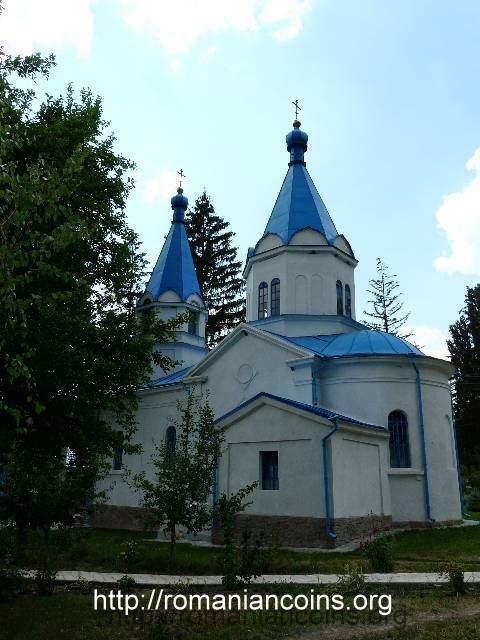 This small church was dedicated to the Icon of the Theotokos the Life-Giving Spring. 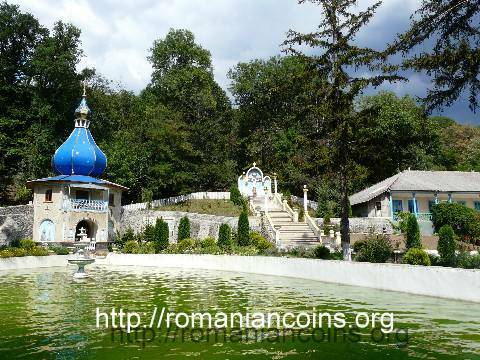 (The Life-giving Spring is an Orthodox feast day of Virgin Mary, celebration that reminds us about a miraculous healing of a blind at a spring near Constantinople, that took place about 15 centuries ago. The feast takes place at the first Friday after Easter. The Icon of the Theotokos the Life-Giving Spring is celebrated separately on April 4th.) 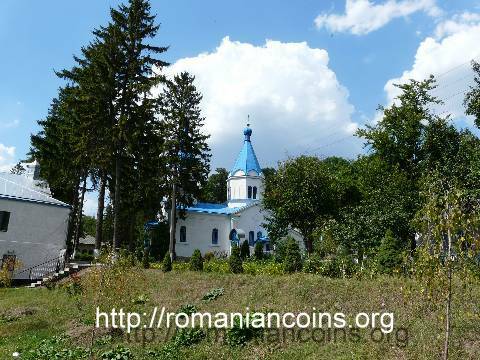 More information about Ţigăneşti Monastery can be found on the site of the monastery (nowadayas, in Romanian only).